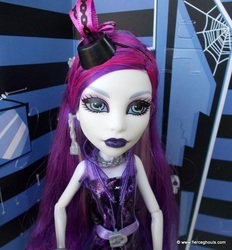 Spectra Vondergeist is the daughter of the ghosts. 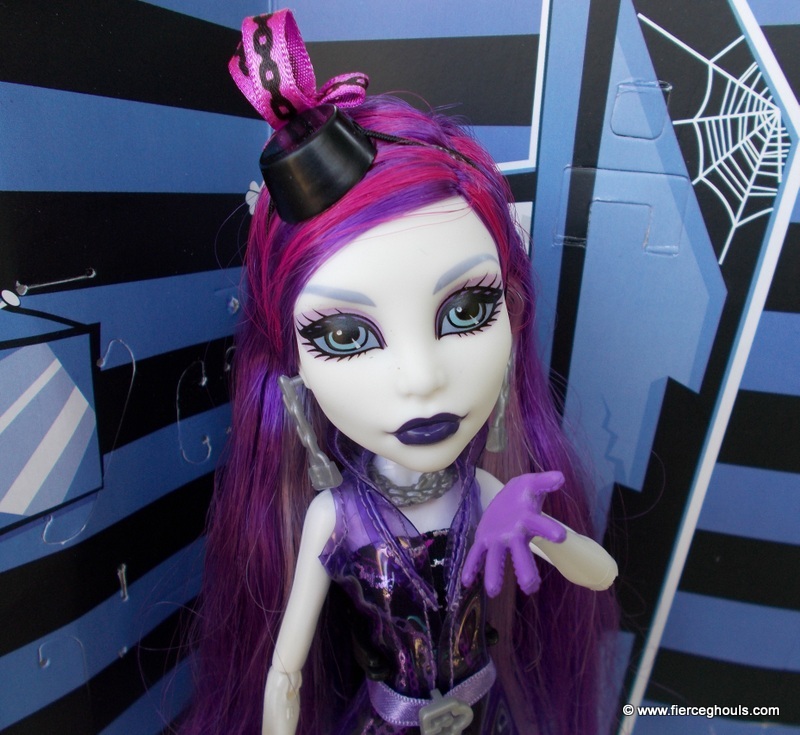 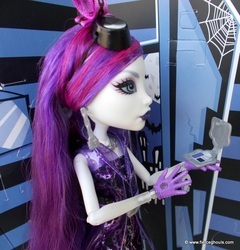 She was originally known as Spectra Von Hauntington and Ghost Girl. 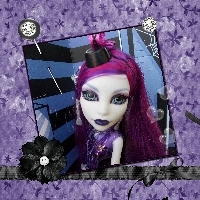 She is 16 years old and she can float through walls and has the ability to hear everyone's gossip. 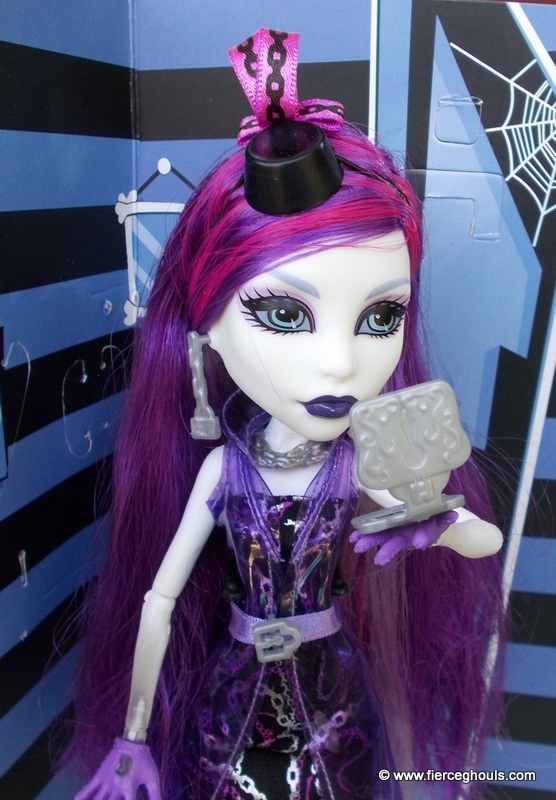 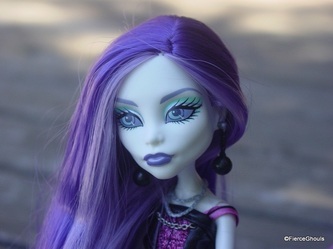 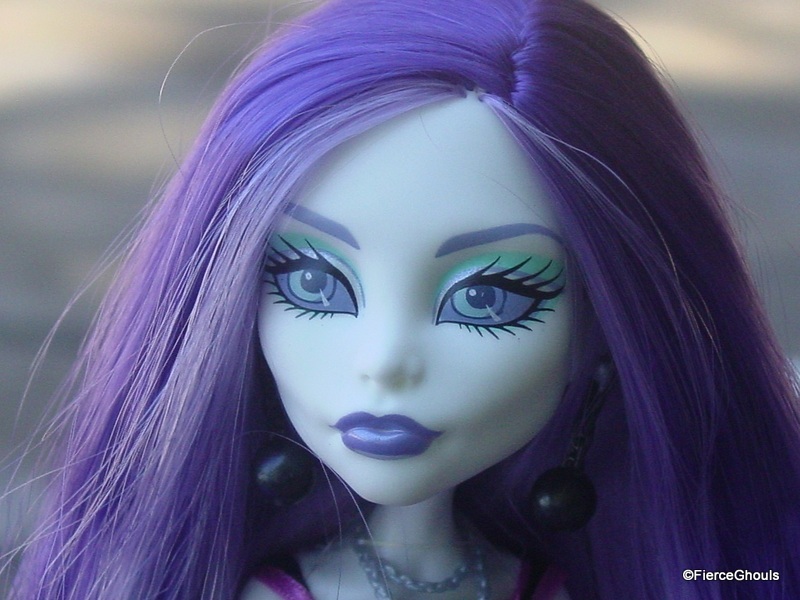 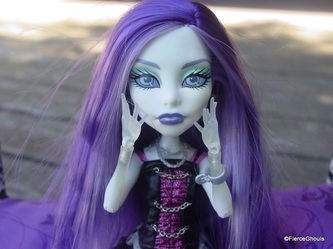 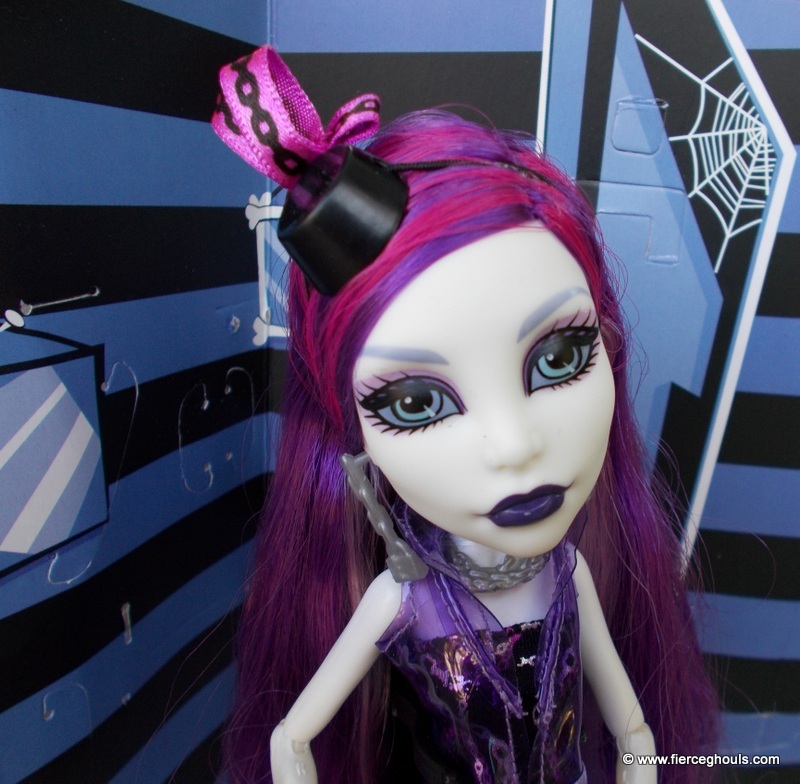 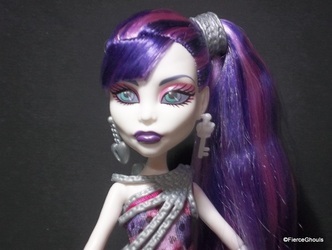 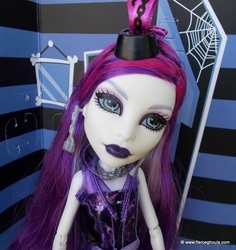 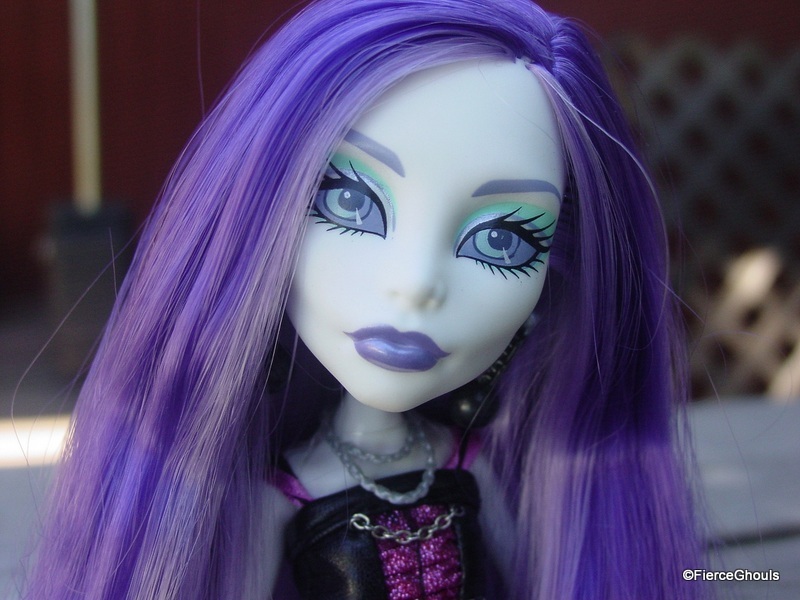 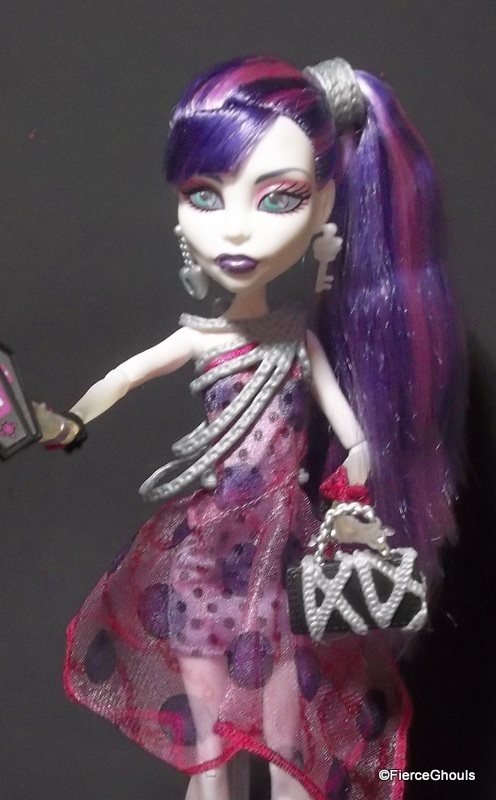 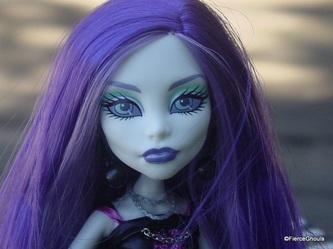 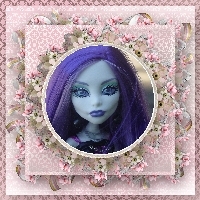 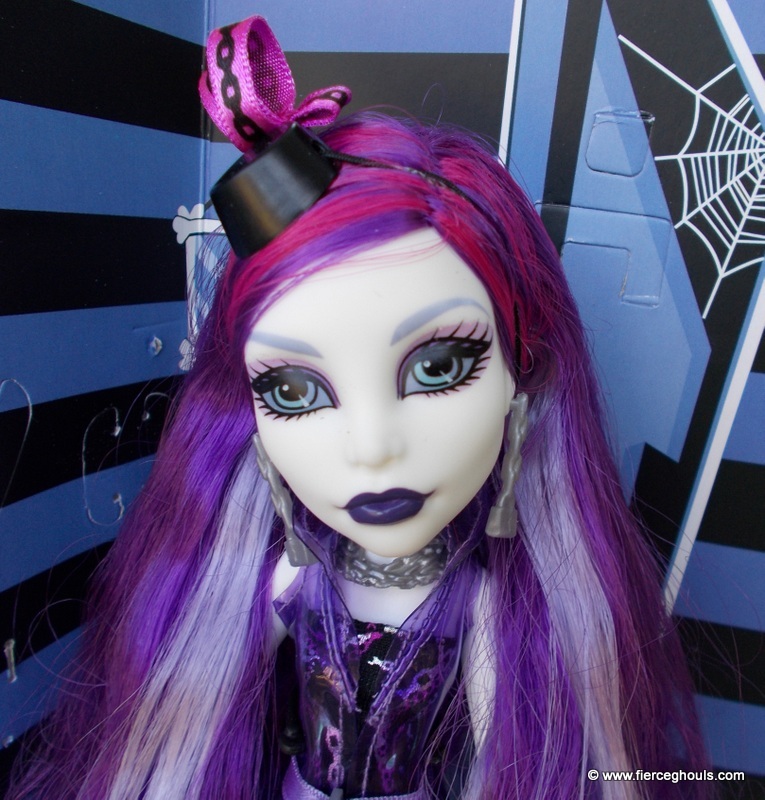 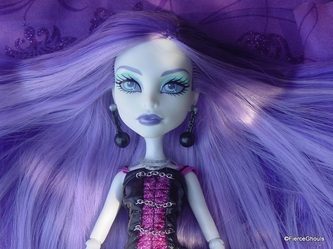 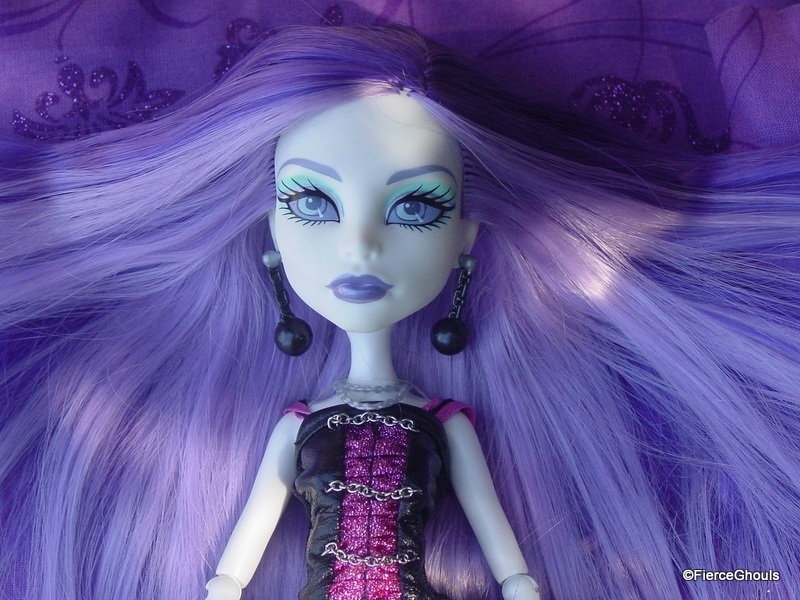 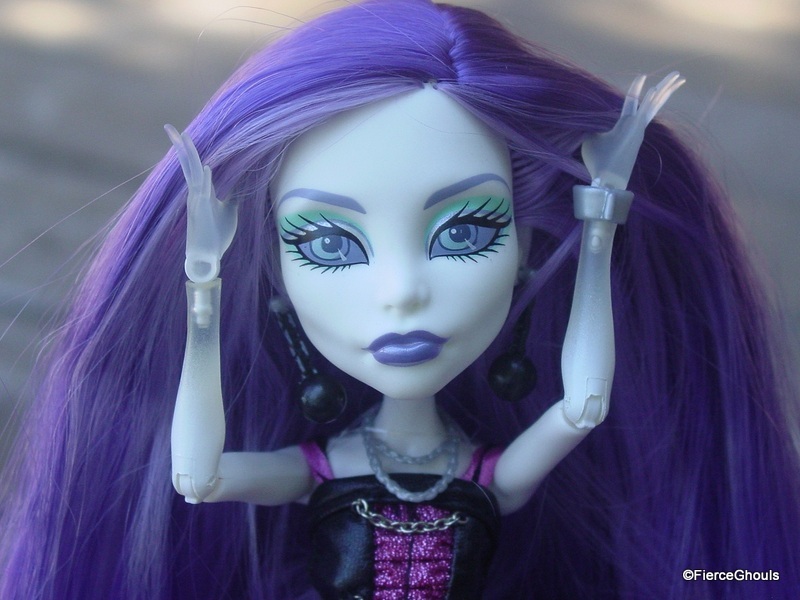 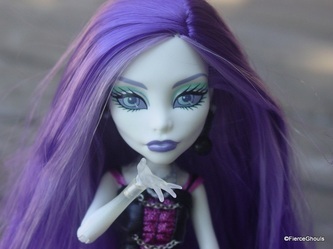 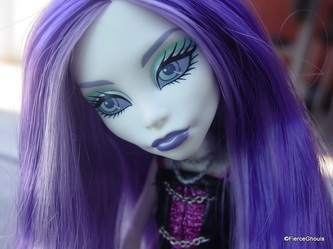 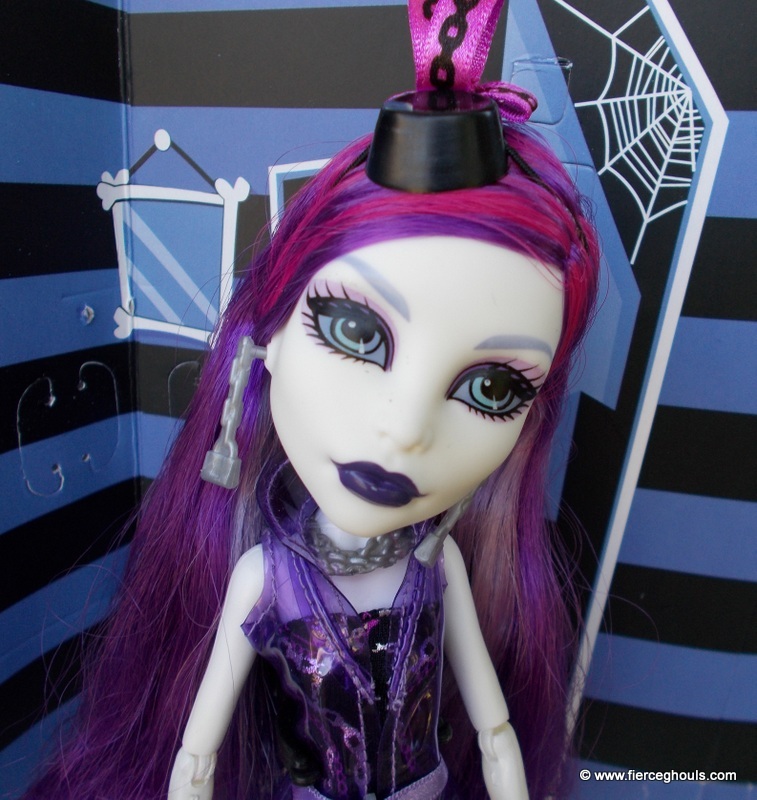 She anonymously writes the column "Oh My Oracle" for the Monster High school newspaper. Spectra constructed a mysterious past for herself but the truth about her family is tragic, though it's never revealed. 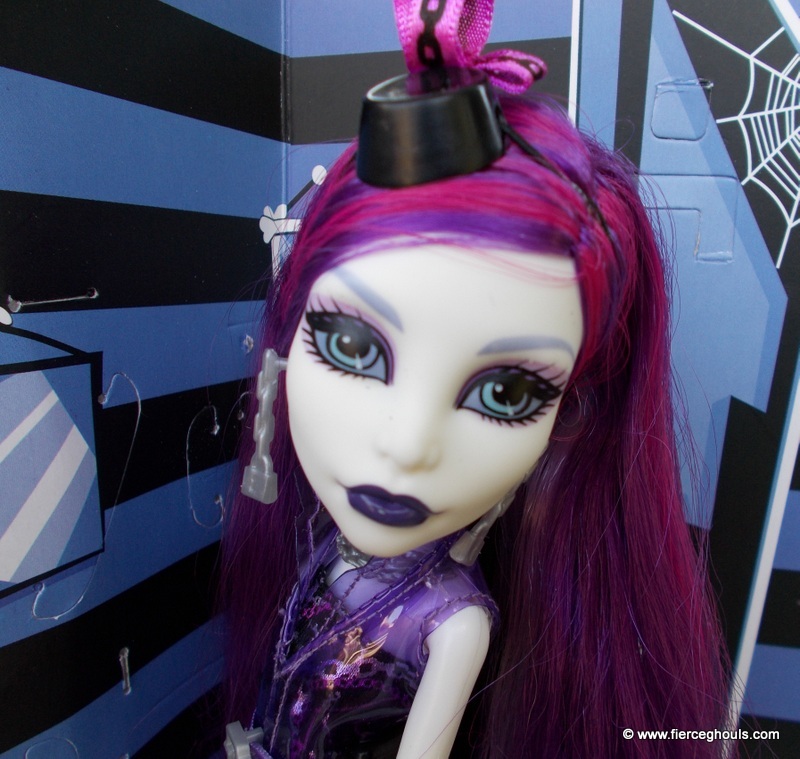 Her pet is a ghost ferret named Rhuen.